The Nintendo 3DS™ AC Adapter is now available as Authentic Nintendo Refurbished product only from Nintendo, and it comes with our standard 90 day limited warranty. Although it may have minor cosmetic blemishes, it is guaranteed to be fully functional. We think you will find the standards for Authentic Nintendo Refurbished Products are VERY high. 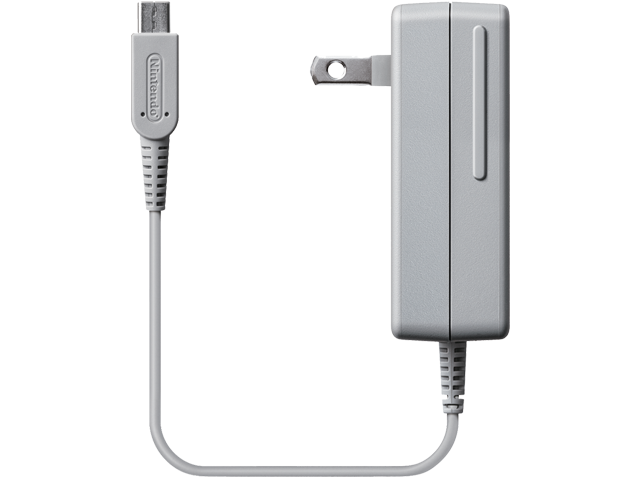 This AC Adapter is the same as the one included with every Nintendo 2DS™, Nintendo 3DS XL, Nintendo 3DS, Nintendo DSi XL™, and Nintendo DSi™. It is used to recharge the internal rechargeable battery or it can be used as a direct power source. If your system is not charging properly, we recommend following our troubleshooting steps before deciding upon replacement.